Last April I went to Barrow for a few days to prepare for the upcoming field season and, more importantly, to visit with my colleagues and friends in Barrow without the rushed atmosphere of my visits when I am there heading out to the field or back to Seattle. 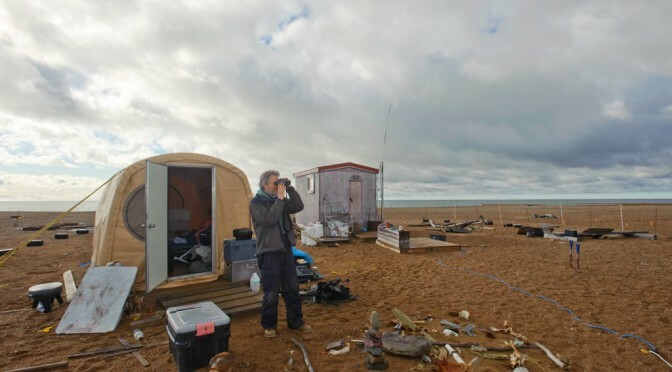 Without the support and friendship of those in the community of Barrow I never would have been able to conduct seabird research for forty years on a sand and gravel bar 25 miles east of the village. 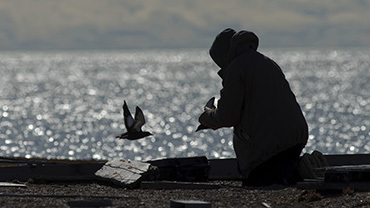 I was accompanied on my April trip by Eric Scigliano, a Seattle science writer, who is a frequent contributor to Crosscut, a Seattle-based online news magazine with “News of the Great Nearby”. His story on our trip is linked here and at the image below. Eric’s piece is a good summary of the Cooper Island findings and includes (on page 2) a description of a unique observation I made on Cooper in 2014 which shows how climate change could be increasing romance and passion for some of the Black Guillemot pairs breeding on the island. Cooper Island sits at the western end of the fabled Northwest Passage that has engaged explorers and adventurers for centuries. Cooper Island would not even be called “Cooper Island” if it were not for John Franklin’s attempt (and failure) to navigate from the Atlantic to the Pacific through the Canadian Arctic Archipelago. As the British H.M.S. 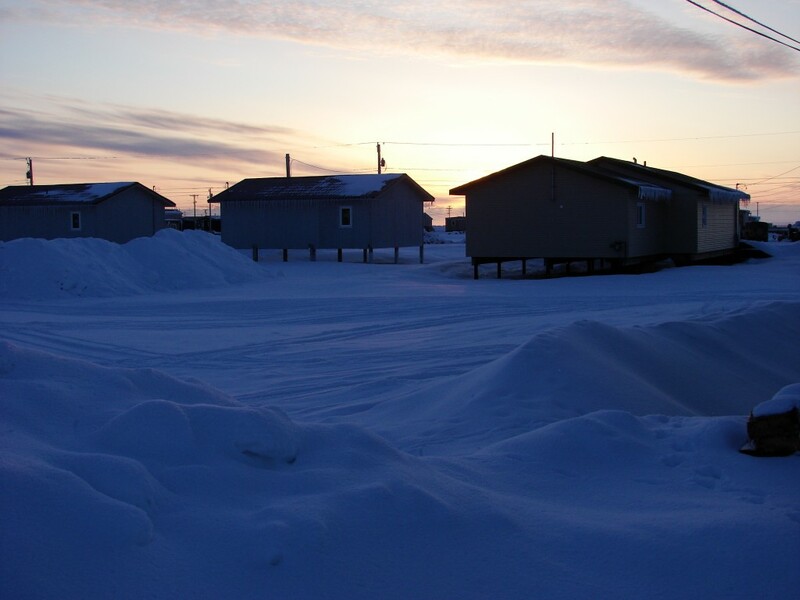 Plover waited for the Franklin Expedition near Point Barrow, Alaska in August of 1850, they annexed an island with the Inupiat name Iglurak, renaming it Cooper Island (originally Cooper’s Island) after one of their officers. Like all areas of the Arctic, the Northwest Passage is seeing major changes as warming temperatures greatly decrease the extent of summer ice, disrupting the ice-adapted marine ecosystem and increasing a range of human activities including offshore oil and gas development and marine traffic. 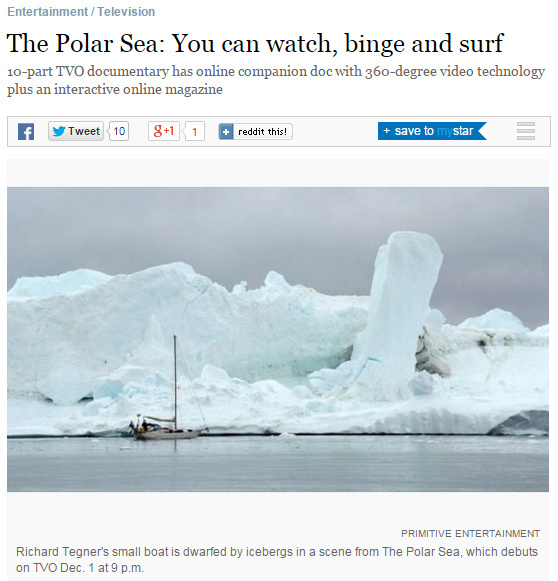 In 2013, a Canadian film crew headed up by Kevin McMahon from Primitive Entertainment, contacted me while I was on the island and we discussed the possibility of having the Cooper Island research be part of their documentary, Polar Sea, about the changes occurring in the Northwest Passage. We met near the end of that field season and discussed in detail the ways in which the guillemots lives and my work had been affected by the warming of the last four decades. I was very taken with the depth of their research and understanding of the issues. They had spent a great deal of time documenting essentially all aspects of the changes occurring in the Arctic – physical, biological, sociological and commercial – and now are able to present that with the detail that only a 10-hour documentary can provide. 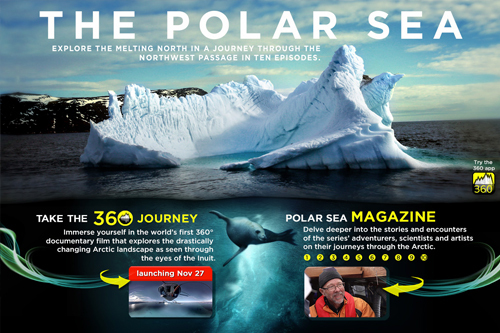 On December 1st, and for the next ten weekday nights, Polar Sea will air in Ontario, Canada (TVO) and France and Germany (ARTE) as a 10-part documentary. The Toronto Star says it is “essential viewing and a landmark of Canadian documentary filmmaking”. Friends of Cooper Island is honored to have our research be part of the documentary (Episode 10 airing on December 11). 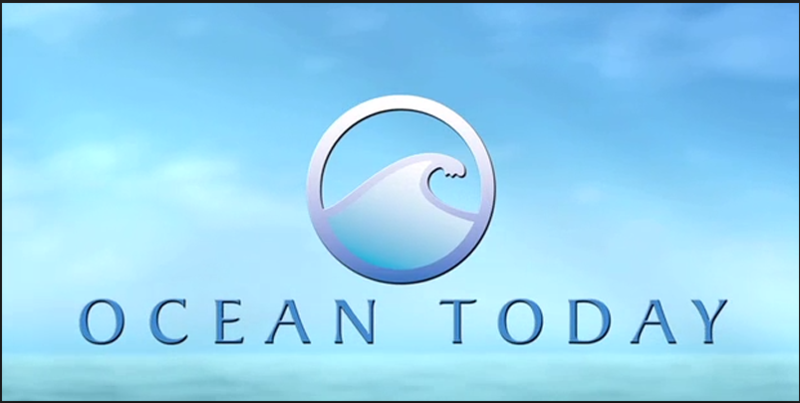 While the documentary is not yet available to those in the U.S. there is an interactive website, an in-depth online magazine and an experiment in the emerging field of virtual reality (Polar Sea 360) that are well worth watching. Those in Canada, France and Germany are able to watch the entire documentary online. This short trailer also linked at the site below shows the diversity of subject matter in the documentary including a rare look (at 1:24) of what someone looks like after spending 13 weeks with the birds and bears of Cooper Island.